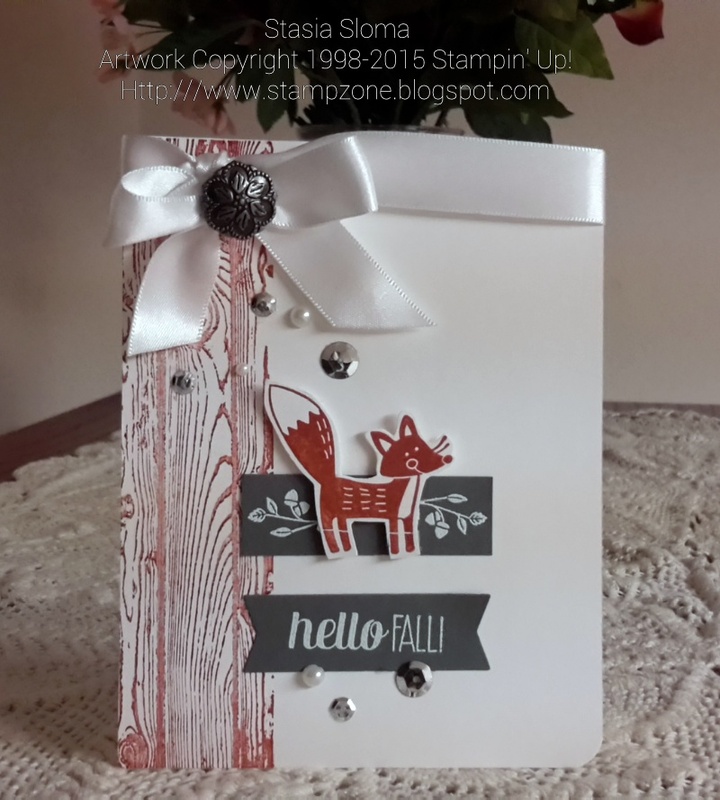 So how super cute is the fox in the Thankful Forest Friends stamp set. I was on Pinterest recently and saw a great photo inspiration using Cajun Craze and Basic Gray color scheme and I just knew I needed to create a card with that color scheme. So stinkin' CUTE! I love all your cards but have to say I'm really fond of the Thankful Forest Friends creations. I'm so glad you love it too. I'm very sad to see it on the retired list.